True to its legendary name and reputation, the MONARCH Fieldscope with tactical reticle eyepiece pushes long-range spotting capability to an entirely new level for long-range shooters. 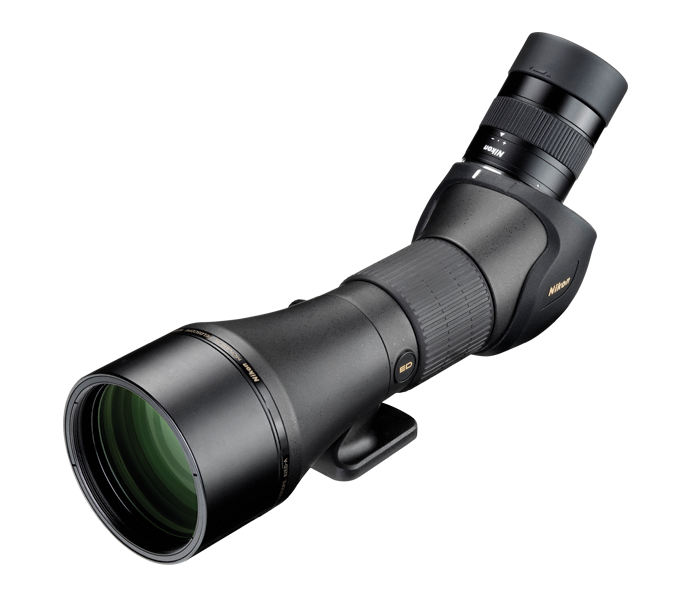 Delivering a full complement of Nikon optical technologies engineered for an incredibly bright, clear, high resolution view across the entire viewing field, the flagship MONARCH Fieldscope makes long days of viewing both satisfying and strain-free. With tough, lightweight aluminum alloy construction, the MONARCH Fieldscope assures its owner of a lifetime of high performance optical capability, mechanical precision and all-out ruggedness. The new MEP-30 reticle eyepieces allow a spotter to locate and focus on the same target in the reticle as the shooter and then communicate reference points and follow-up shot corrections. Integral FS-MRAD or FS-MOA reticle includes milling scale for highly detailed measurements of targets. Can be fitted to straight or angled body 82mm or 60mm MONARCH Fieldscopes. True to its legendary name and reputation, the MONARCH Fieldscope brings the excitement of awe-inspiring observation and incredible visual experiences to the eye of its beholder. MONARCH’S Advanced apochromat system of ED glass and proprietary lens and prism coatings deliver true color fidelity with high resolution integrity. The straight body MONARCH Fieldscope models utilize a Porro prism design, while the angled-type models employ Nikon’s original total reflection prism.